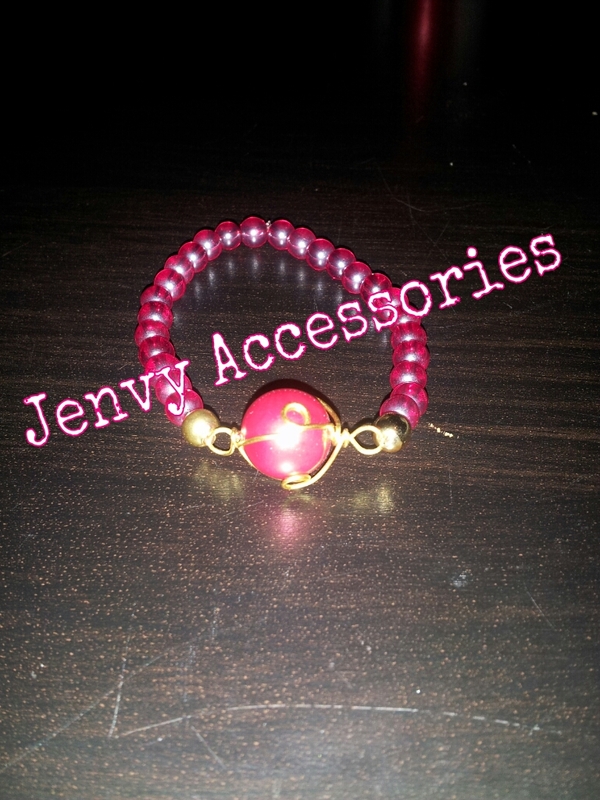 This gorgeous bracelet has a beautiful centerpiece; a large red pendant encased in golden wires. Only $12. 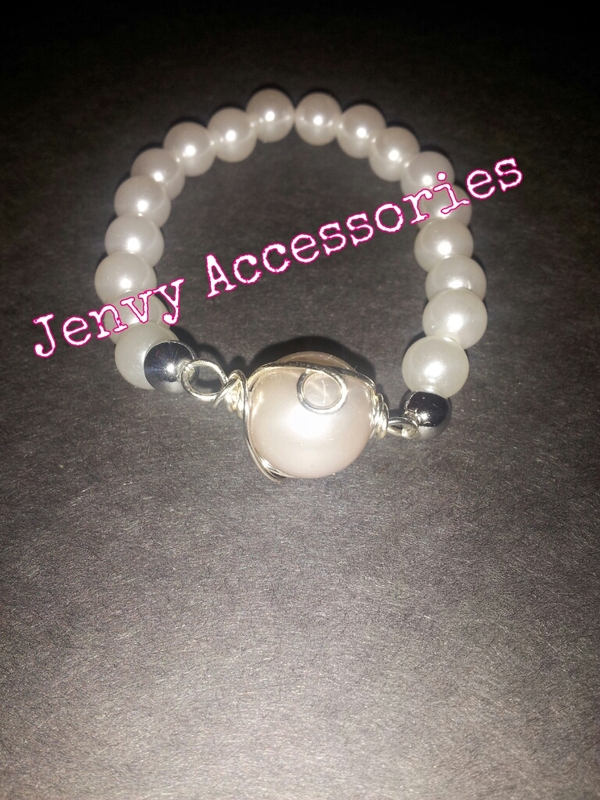 This bracelet is also available in cream color, with the same type of centerpiece, except the centerpiece is a light pearly pink and silver wiring.